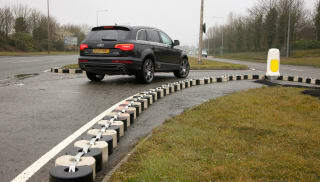 Marshalls’ range of traffic calming measures is designed to improve environments for vehicles and pedestrians alike. 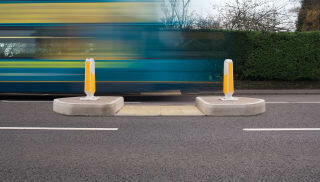 The accurate preformed shapes and profiles of Marshalls’ products, produced by quality controlled manufacturing processes, comply with a number of standards and specifications, including the Traffic Advisory Leaflet. Made from precast concrete, traffic islands come in a permanent or demountable form and are installed to delineate busy roads. 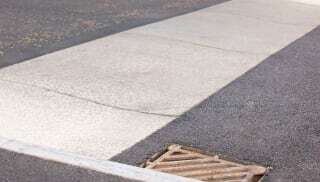 New delineations are also available to help cyclists move around more effectively. 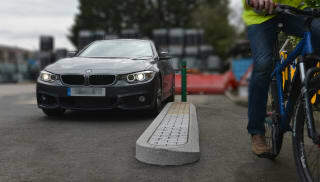 Another commonly installed measure, protective guard railing is used in areas where pedestrians and traffic may come into contact, providing effective protection and separation between types of road user. 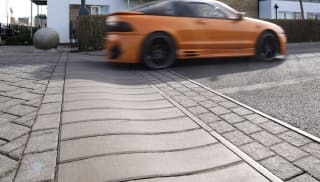 The S-ramp is a pre-cast reinforced road hump designed to reduce traffic speeds in built-up areas, while providing a smooth ride-over. 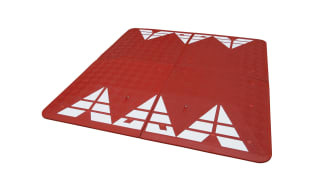 One of the most common installations from our range, it can be supplied to a number of specifications. 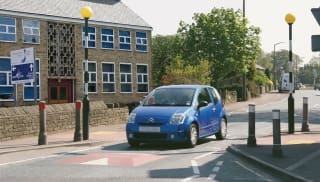 Browse the full range of traffic calming measures now.